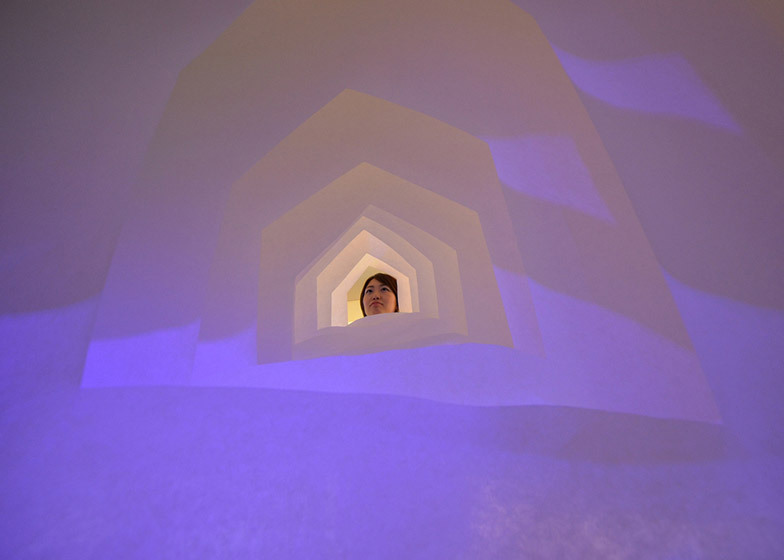 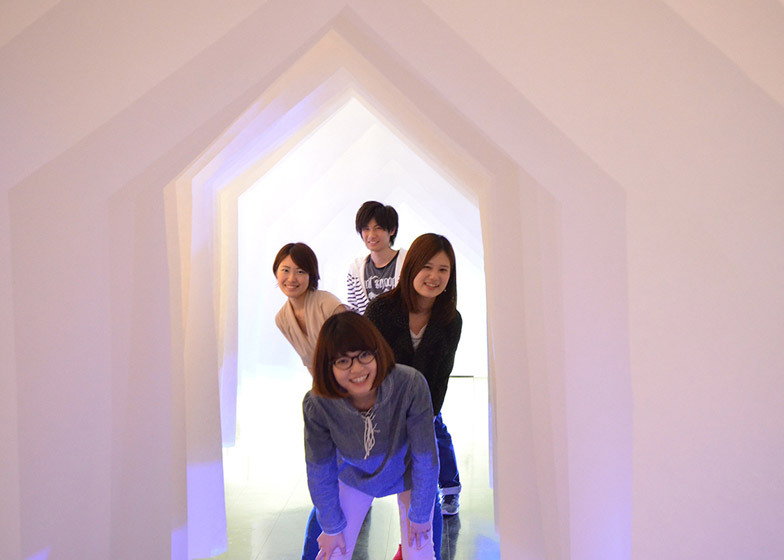 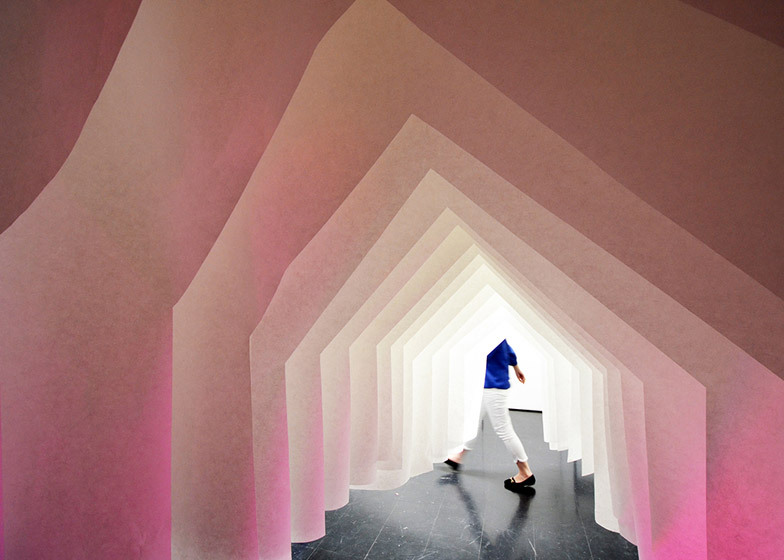 Japanese architect Kotaro Horiuchi cut out profiles of gabled houses from large sheets of paper to create a tunnel inside a university gallery, forming the third installation in his Fusionner series (+ slideshow). 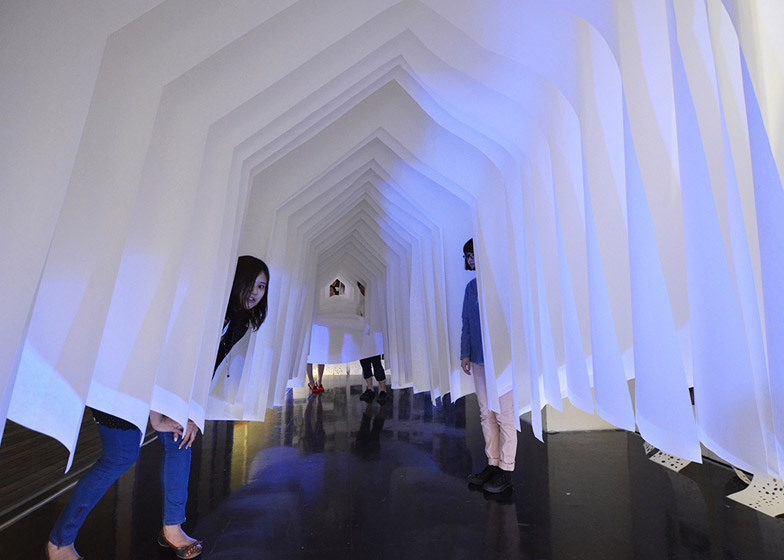 Kotaro Horiuchi hung sheets of white paper in the gallery in the Aichi area of Japan to create a tunnel for his installation Fusionner 3.0, also titled Air House, following similar projects at a gallery and his studio in Nagoya. 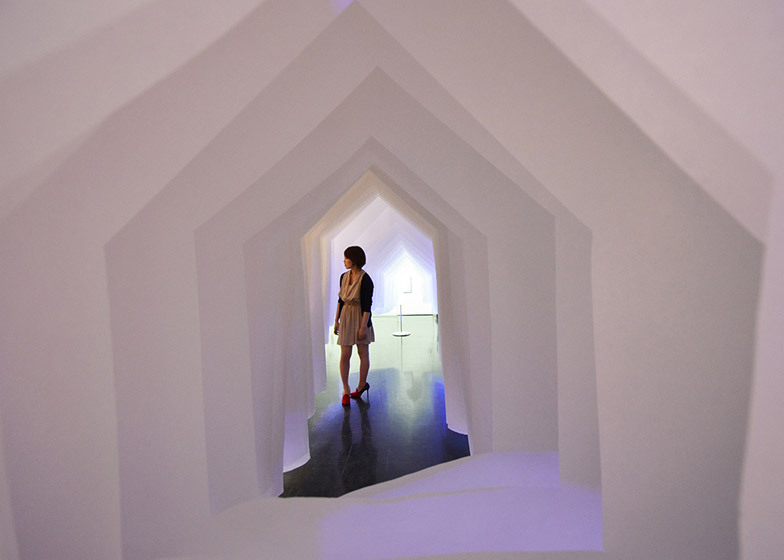 The shapes of gabled houses cut from each sheet slightly differ in size, becoming smaller towards the rear to form a backdrop with a small window in the final layer. 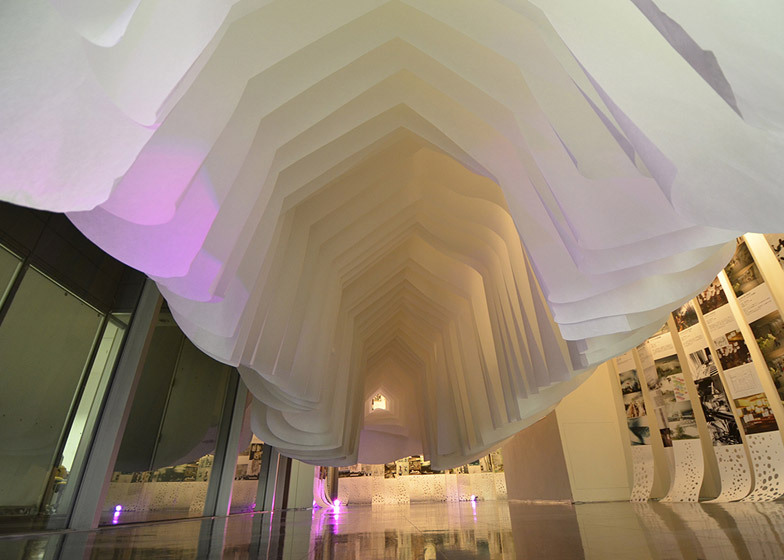 These sheets prevent access from the back, encouraging visitors to enter through the numerous gaps in the sides. 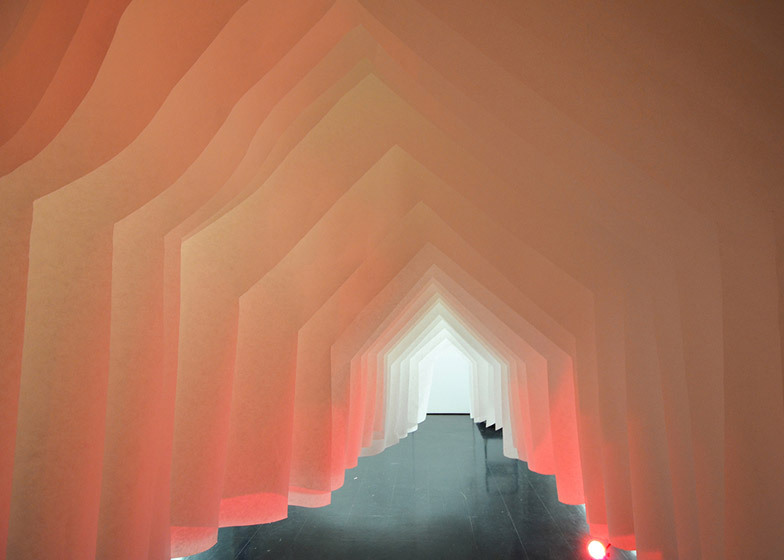 The shape and scale of the space created the impression of being inside a paper shed. 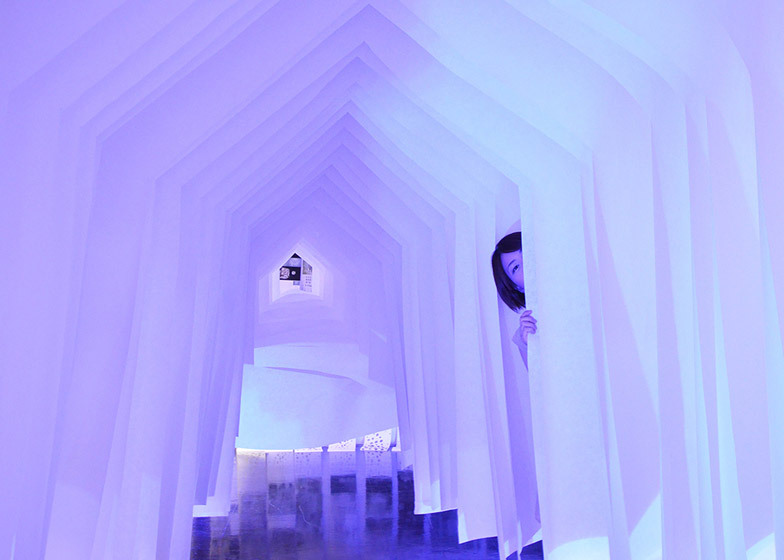 The layers were suspended from the ceiling and stopped above the ground so people could crawl, sit or lie underneath them. 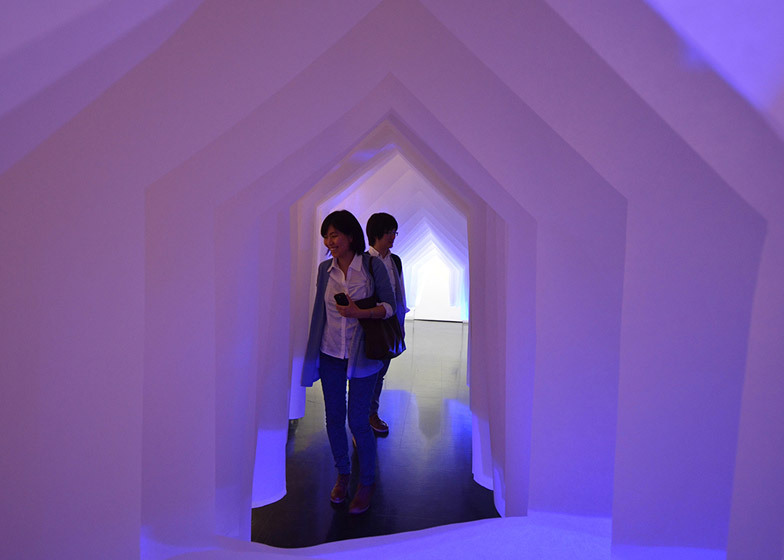 Fusionner 3.0 was installed in the gallery of Aichi Shukutoku University between 7 May and 10 June to coincide with the exhibition of students' work. 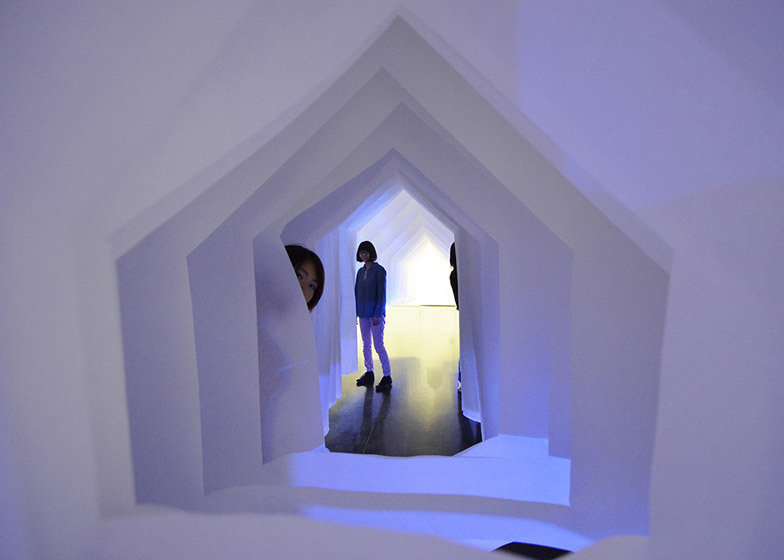 The piece created a presentation space for students' models beside their two-dimensional work hung on a wall nearby. 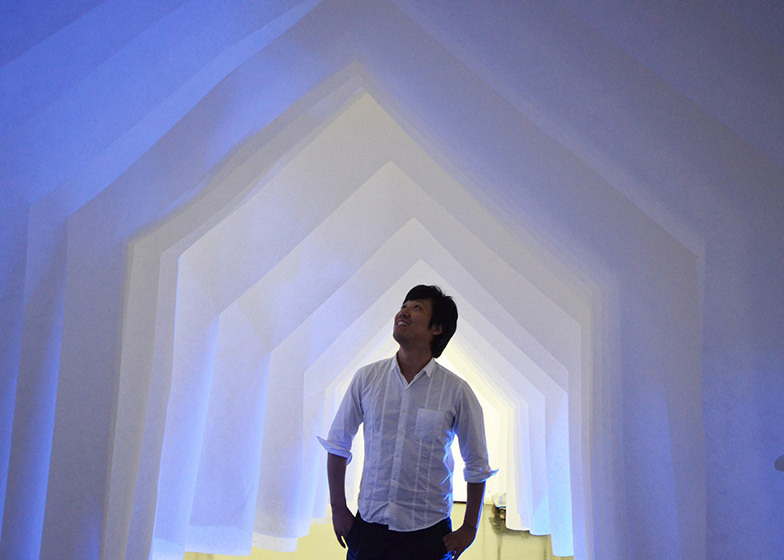 "You were able to experience the air spreading in it and discover models hidden between the papers," Horiuchi said. 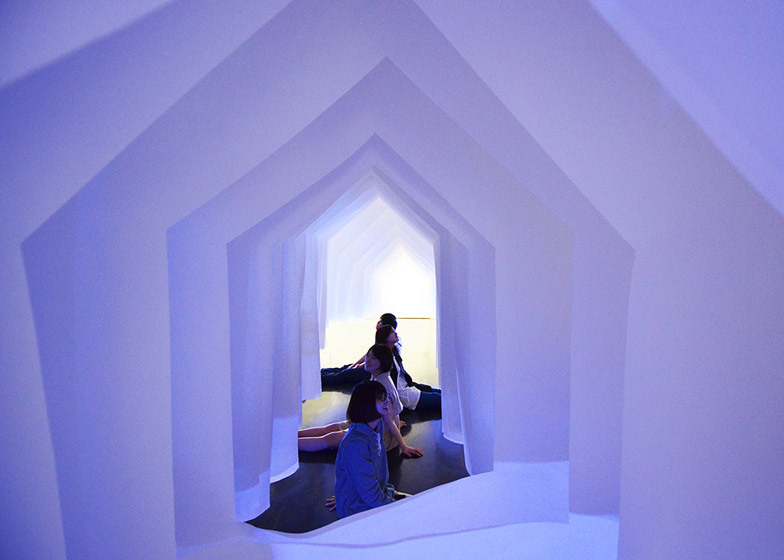 "You could gather, discuss, enjoy the moment and even lie down." 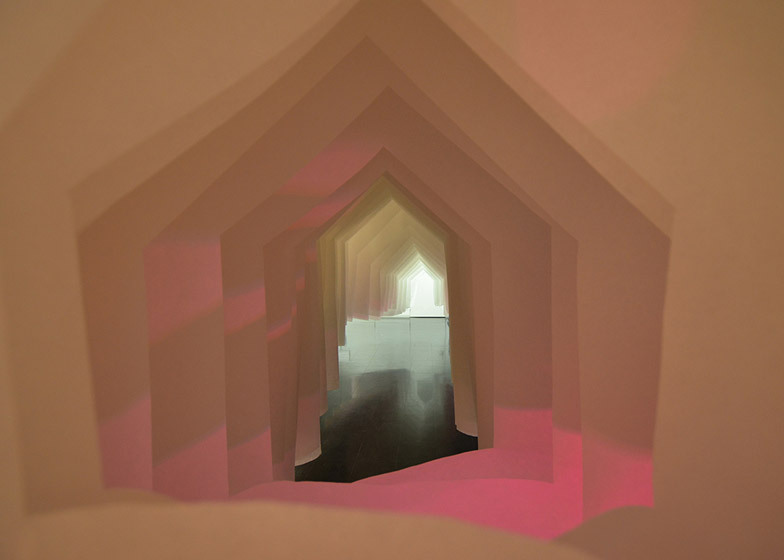 His previous two designs for the Fusionner series included punctured membranes stretched across a gallery so visitors could pop up through the holes and a white cave-like space in his office.